You may remember I went to New York two weeks ago for a top secret fashion show at Pier 59 and I'm excited to finally share the campaign I've been working on with Target! It was my first time in the big apple and my first fashion show in NY. I'll never forget the feeling when the lights go down, the music starts playing and the show begins. The entire Target Style fashion show was beautiful and let me just tell you, Target is on point. So, go get shopping! One of the highlighted trends of the night was the bold lip. It's one of my personal favorite trends for fall; one swipe can instantly give you that extra boost of confidence and make a major statement. Not to mention it's the perfect finishing touch to an outfit. 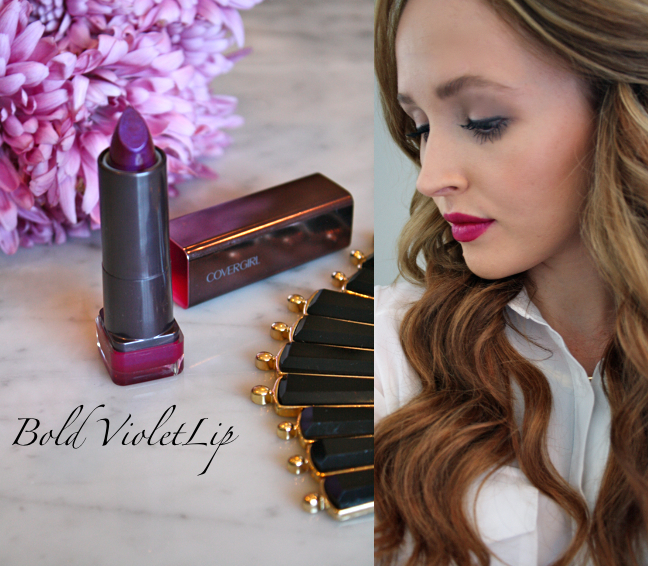 I picked out a few of my favorite colors for fall that will make for the perfect pout! 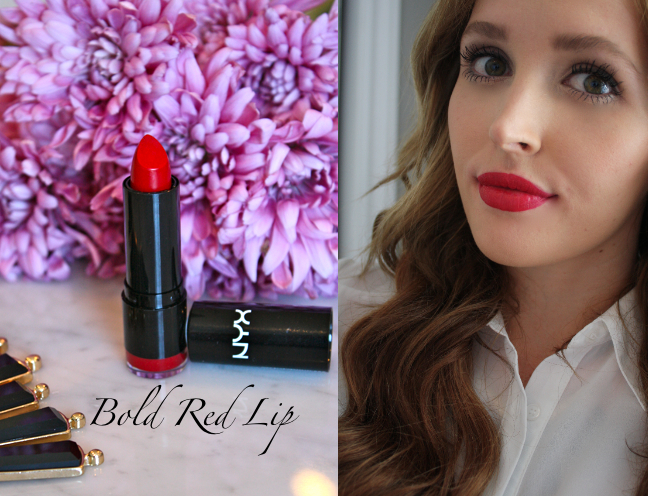 Join me on instagram for more bold lip trends and behind the scene shots of the Target Fashion Show. The best part is, all of these lipsticks are under $10!! 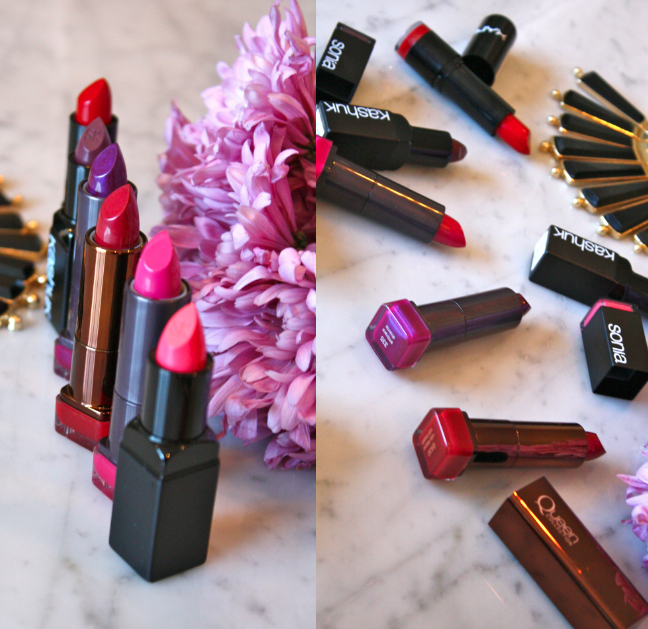 Which bold lip color is your favorite? wow that is so cool! i absolutely love those shades of the sonia kashuk lipsticks! the packaging is really sleek! I don't doubt the Target show was like a dream, so cool. 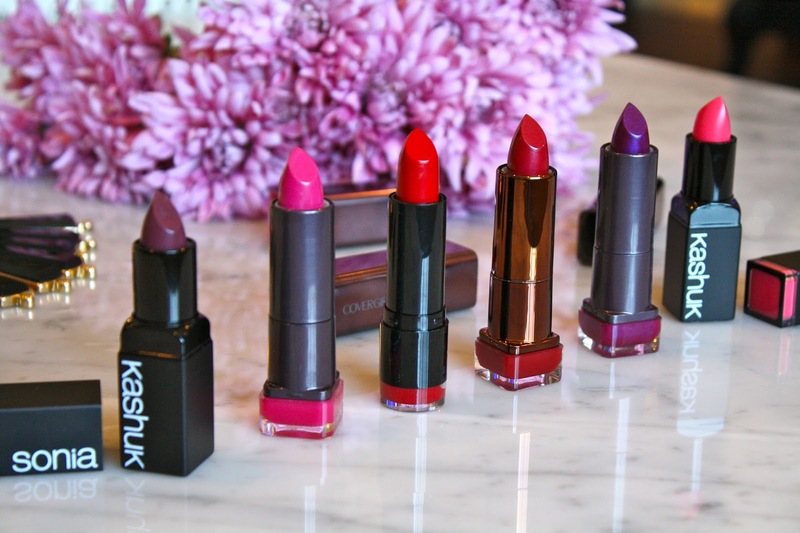 I love the bold lip colors on you, especially the velvet lip color. 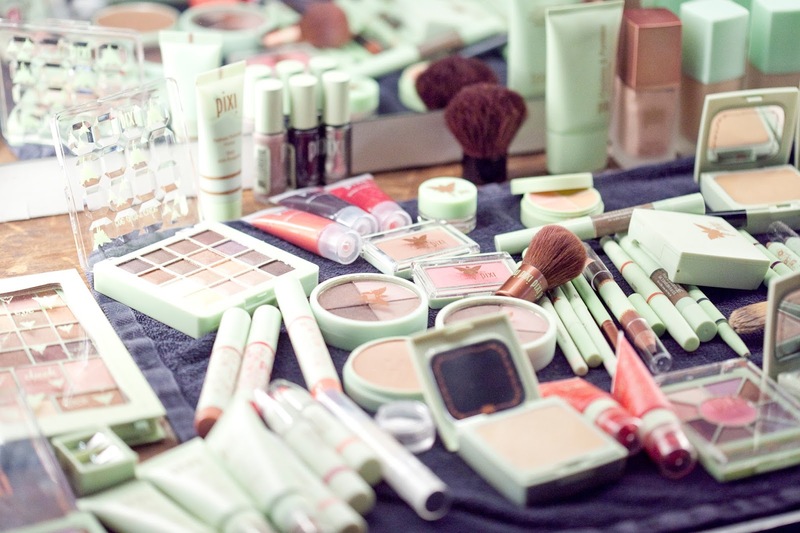 Looks so beautiful on you! LOOOOOVE the purple lip on you!!! So flawless! 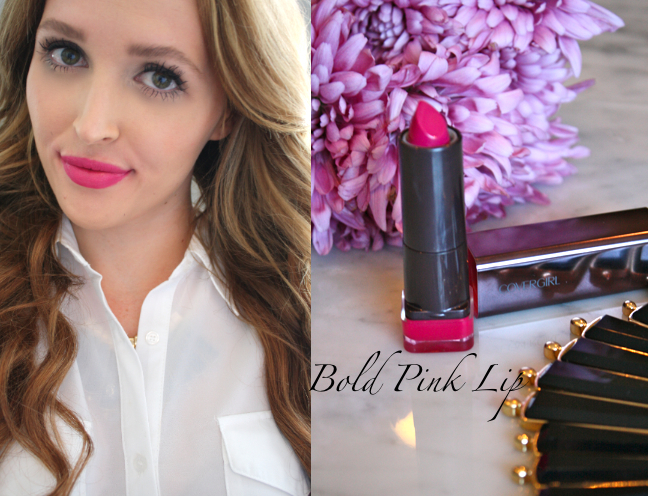 Love all the lip colors - sounds like such a super fun event! So jealous! !